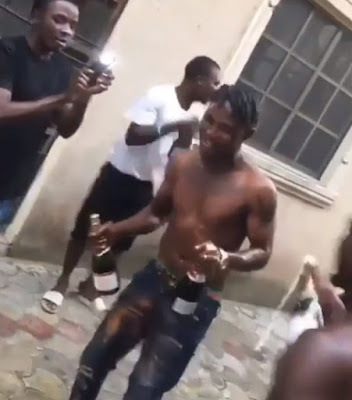 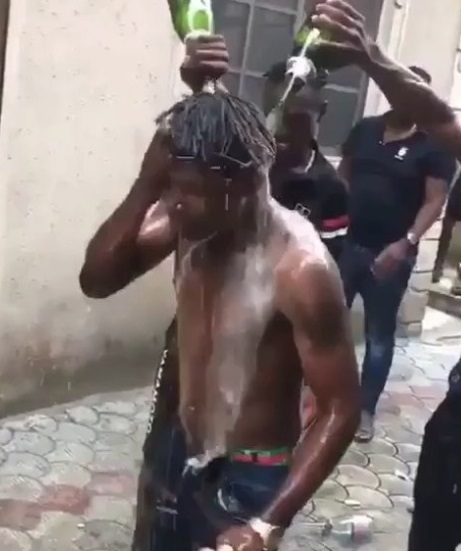 The video clip showing the joyous momemt some group of Nigerian young men were using some bottles of champagne to bath their colleague, has emerged online. 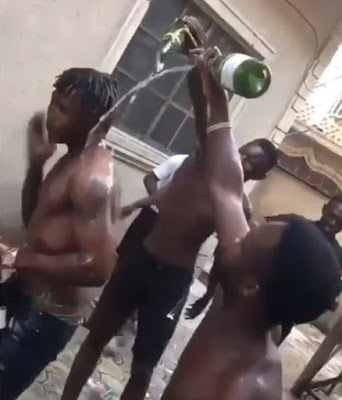 The video which is making the rounds on social media show the group of young men at the back of a house, jubilating and emptying the bottles of the ‘expensive’ drinks on the body of a dreadlock wearing guy. 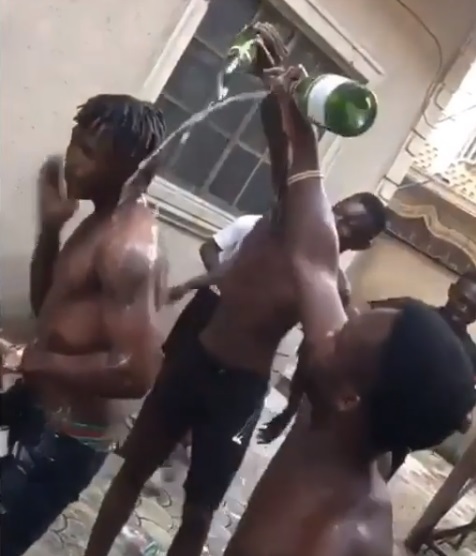 The identities of the guys or the reason behing their wild celebration were not ascertained by 9jamusicmixtapes News as at the time of filing this report.